I am Maya, a 7th grade student and a member of the Student Council. TPS has received many questions from parents and students about what we are going to do to show our solidarity with the victims of the Parkland school shooting. I am spearheading the TPS middle school’s participation in the 17-minute nationwide school walkout on March 14 from 10:00 to 10:17am. The 17 minutes symbolize the 17 students and teachers who were killed. The walkout serves several purposes: memorial, support of student activism, insistence that policymakers listen to student voices, and support of common-sense gun laws, including the banning of assault weapons. Before the middle school walkout, a team of middle school student volunteers will do teach-ins in each middle school class. The teach-ins are so students have a chance to understand and discuss the issues before the walkout. We think this is very important because often times people make decisions based on the ones people around them are making. All of the middle students should be educated and able to make their own decisions on what they think the right thing to do is. Of course, the walkout is completely optional. 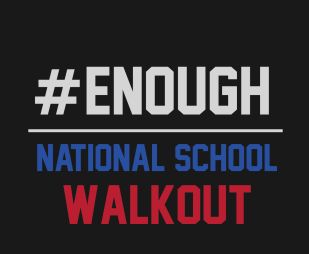 The details of where we will be during the walkout have not been decided yet but will be soon. We think it is best for all of the students who walk out to be together during this time. We think it will be very powerful to all be together commemorating the lives of those who died in the Parkland shooting and advocating for more attention to student voices about all issues as well as gun regulations. While my schoolmate 6th grader Lila and I are focusing on middle school students, Division Directors Yves Kabore and Erin Gordon are discussing how younger students might participate. Please stay tuned for news about that. Although this is a student initiative, we are in conversation with teachers and administrators to keep them informed about our plans and to get their advice. I am sure you will hear from them with more details.